Wayne County Community Foundation, Youth Advisory Committee awarded grants to local students and schools. Recently, Third Graders at the Canaan Christian Academy were presented with the "Scholastic Children's Dictionary." The 16th annual presentation of the project is sponsored by the Wayne County Community Foundation. To date, over 4,000 dictionaries have been presented to third graders throughout Wayne County. The Foundation wishes to expresses its appreciation for the many faithful donors who've made this such a successful project. On Thursday, January 17, the Wayne County Community Foundation presented a dictionary to each of the third graders enrolled in the Evergreen Elementary School. 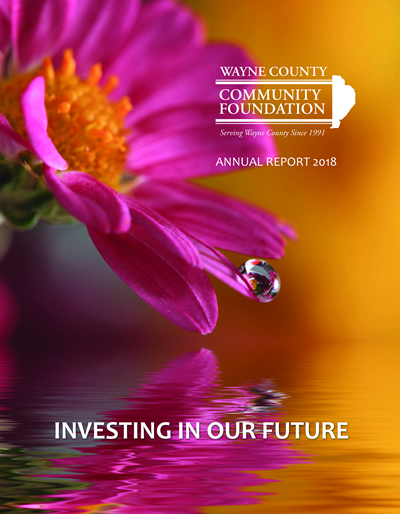 Once again, the Wayne County Community Foundation in cooperation with the PA Department of Economic and Community Development will award grants to area school districts.